Men armed with swords and sticks beat a victim who was trying to run away. Roseanne Colletti reports from Richmond Hill. 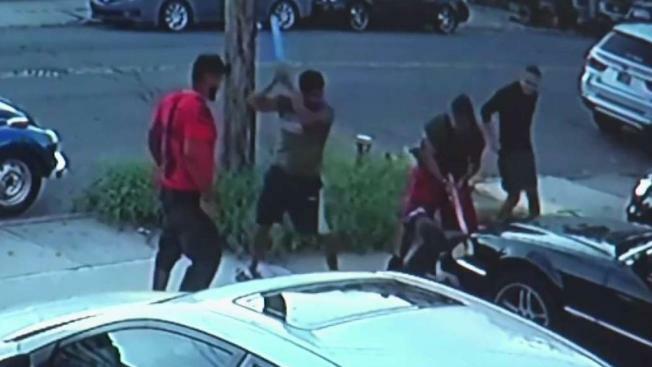 Cops are looking for four men in connection with a brazen sword attack on a man in Queens over the weekend. 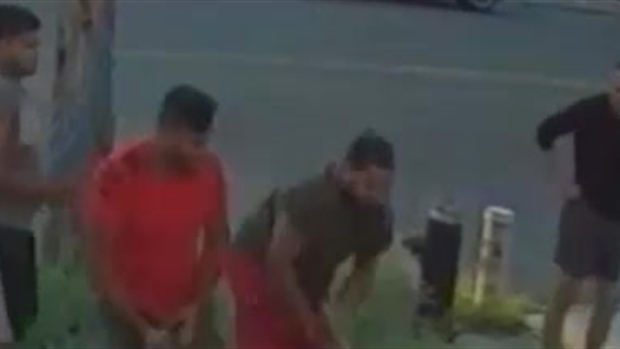 The men walked up to the 26-year-old victim shortly before 7 a.m. Sunday on 123rd Street in Richmond Hill; at least one of them showed a gun and threatened him, authorities say. The victim tried to run, but tripped -- and was attacked with sticks and a sword. Surveillance footage shows the four suspects attacking the man as he lies on the ground. Three of them repeatedly wind up and bash him with the sword and sticks as the fourth suspect stands idly by. Then all four ran off. The victim was taken to a hospital with serious physical injuries, authorities say. Cops say he knew his attackers, but not by name. It wasn't clear if there had been a prior argument. All four suspects are thought to be about 18 to 24 years old. Anyone with information on the attack is asked to call Crime Stoppers at 1-800-577-TIPS.